High in the mountains of the Northern Sierra snow melt and natural springs gravitate together and begin their journey down a magnificent watershed, and The North Fork Yuba River is born. Surrounded by a coniferous forest and polished granite boulders that have been worn to a glimmering shine this river is also home to native wild rainbow trout that sparkle like jewels in the mountain sunshine. There is also nonnative Brown trout here that are the offspring from their parents who made the journey up the river from Bullards Bar reservoir in search of the perfect spawning grounds. 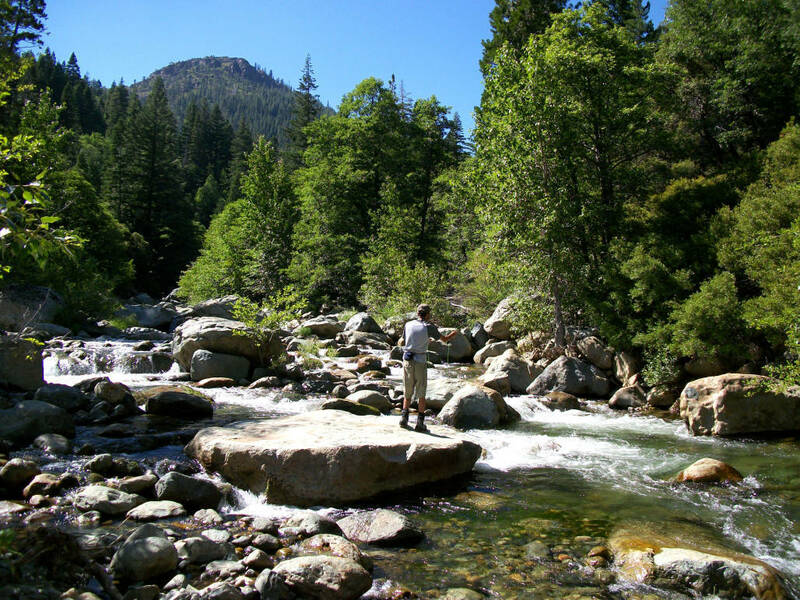 The North Yuba also attracts anglers from all over the state who make their own journey to ply the waters whether it is by fly or lure. 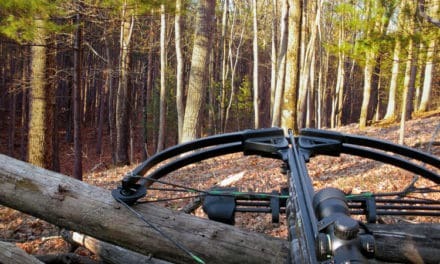 Here is a place than can offer unbound beauty, adventure, solitude, and a chance to hook into a trophy trout! As you make your up Highway 49 from Nevada City there are numerous major access points along the way upstream after the first bridge crossing near the Canyon Creek trailhead. Other obscure access areas are mere pullouts with steep descents down to the river and only for the most adventurous souls. 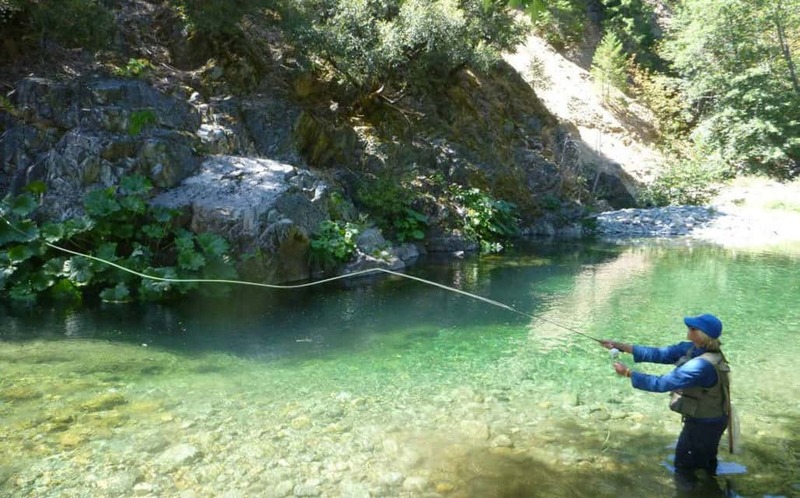 What sets this river apart from the many grand waters of Northern California is the type of water preferred by fly anglers; pocket water, pools and gin clear water. 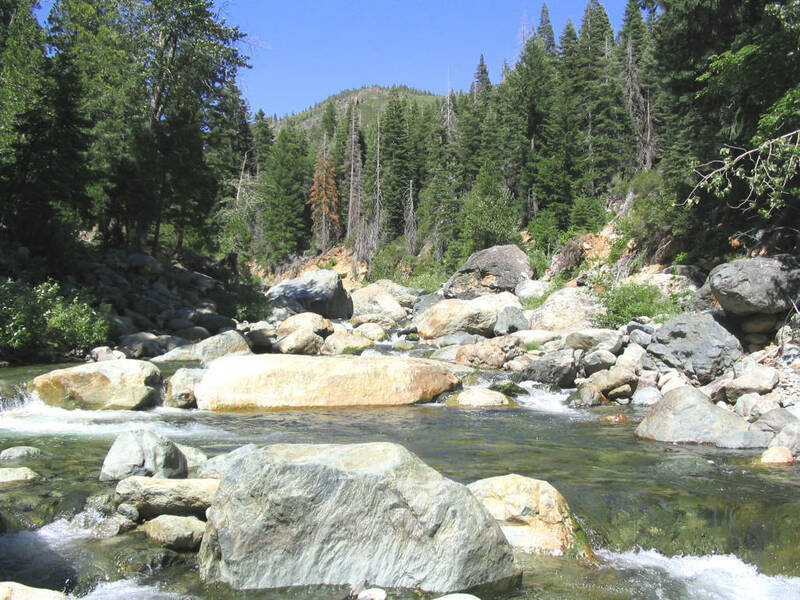 The North Yuba is open year all year for fishing but with special regulations. 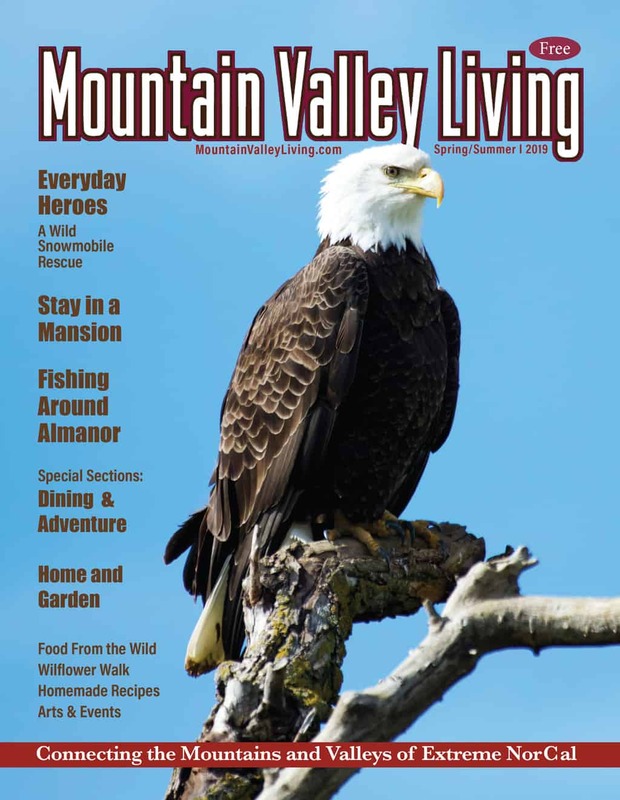 There is a “wild trout” section from Sierra City to Ladies Canyon Creek and only barbless flies and artificial lures may be used with a two fish limit if one decides to keep their catch. 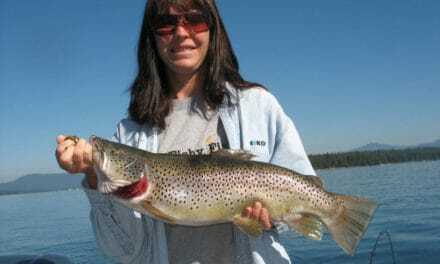 Most fly anglers practice “catch and release” fishing so that the populations of wild trout may grow bigger and provide others with the enjoyment of catching the big one. 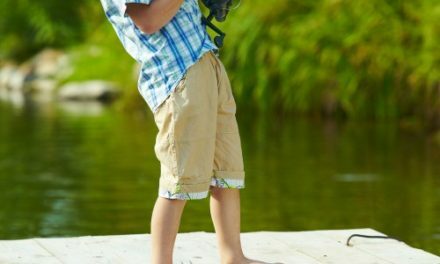 The California Department of Fish and Wildlife’s regulation booklet provides all the information a visiting angler needs to be legal here and should be reviewed before venturing out onto the water. Winter and spring conditions are rather tough for successful fishing, low water temperatures and high water makes it difficult for even expert anglers. 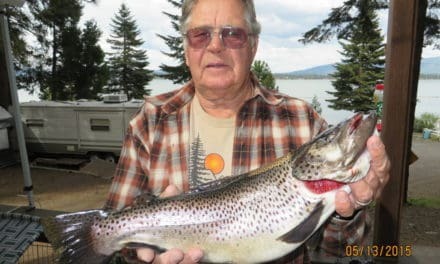 The most productive fishing takes place after spring runoff has ended which normally takes place sometime in June. As summer engulfs the North Yuba so do the aquatic insects that the wild trout eagerly dine on. 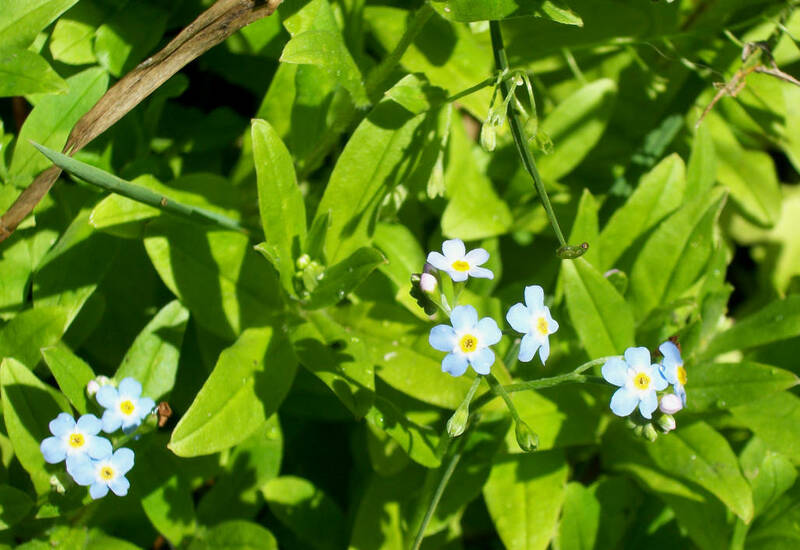 Hatches of mayflies, caddis, and stoneflies fill the air and offer exciting “dry fly” fishing, presenting flies that float on the surface of the water enticing a trout to rise to the occasion and devour the artificial offering. Great fishing continues through even the hottest dog days of summer as the upper river still provides cold water. Fall is a special time on the North Yuba, leaves glow showing their spectacular colors and the trout feed more aggressively knowing they have to fatten up for the long cold winter months ahead of them. There is also a special aquatic insect that hatches this time of year and even has a cult following amongst fly anglers. The October Caddis is a large specimen with a burnt orange color that brings up some of the largest trout for a floating prime rib dinner drifting down the currents. 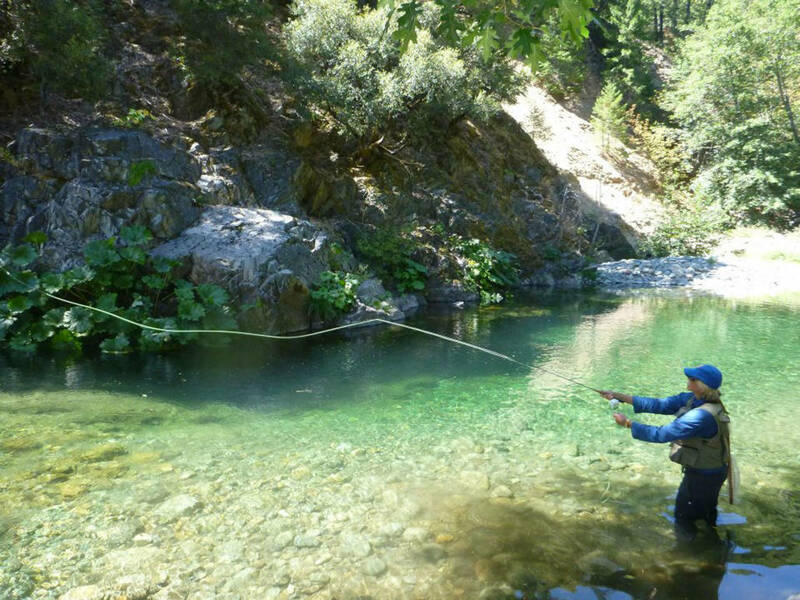 There are no special tackle requirements to fish the North Yuba, a 3-5 weight rod matched with a floating line and leaders to 4-6x will perform nicely. 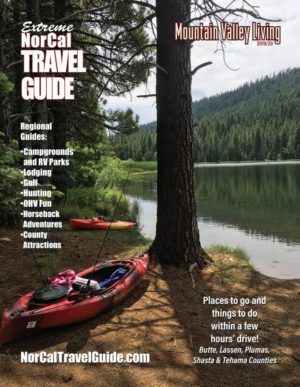 Sierra Hardware in Downieville is the only place in the area you can find terminal tackle and a large assortment of the “go to” flies that work best on the river. There is also a current fishing report posted in the store which will help visitors eliminate the guess work and get straight to business when picking out the right fly to use. 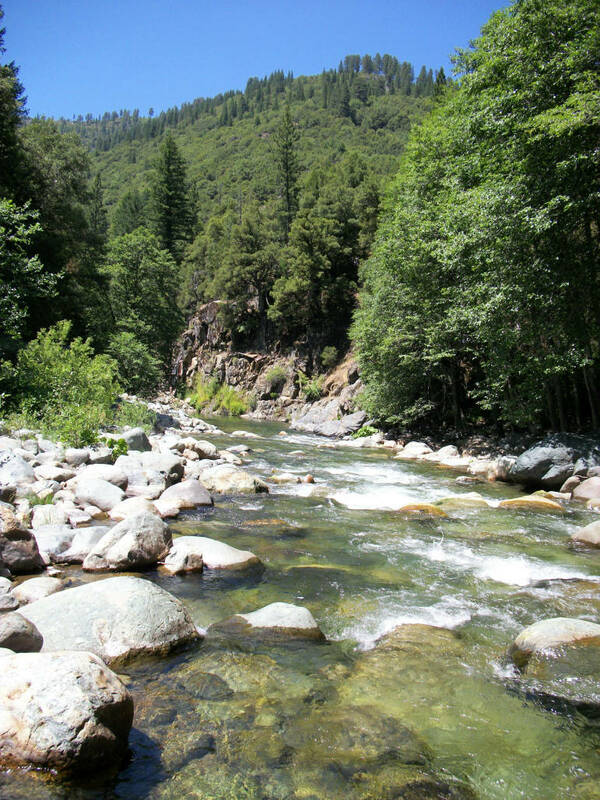 The North Fork Yuba is a fascinating river with a surprise around every corner. I really love this place; it reminds me of learning to fly fish on the North Fork Feather River when I was a boy. It’s a rough and tumble kind of a river with a fast pace, and the roar of the white water echoes off the canyon walls. Where Robins stuff their bellies full of stoneflies, and take retreat on a low branch of a pine next to the river. They eat their meal, gaze about, and take in the sights and sounds of this most impressive watershed.